As Europe is able to produce only 15% of its feed protein requirement, the rest has to be complemented with imported protein. Soya is the best option for this purpose. Its quality, availability and price are superior to any other vegetable protein source. Up to 85% of farmed soya is used in animal feeds globally. Soybean meal is a key component in animal feeds. 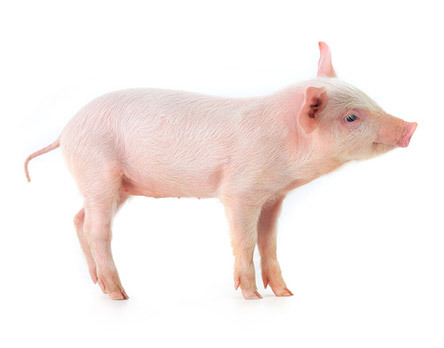 Most of the soybean meal is used in pig and poultry nutrition. Nutritious soy protein concentrate "SPC by Nordic Soya" contains 63-65% protein, and is currently a primary raw material in farmed salmon feeds. Additionally, SPC is a more ecological choice as fish meal has become less available. It is also an excellent raw material for YAF (Young Animal Feeds), e.g. piglets, calves and broiler chicks due to its high digestibility and reduced ANFs (Anti-Nutritional Factors). Soybean oil is derived by extraction from soybeans. Soybean oil produced by Nordic Soya is used in the animal feed and process industries. Lecithin extracted from soybean oil is used in food and feed industries. Among other functions, lecithin improves flowability, colour uniformity, texture smoothness, taste stability and product shelf life. For these reasons, lecithin is widely used e.g. in chocolate production. Soy molasses containing sucrose and oligosaccharides is used in cattle feed as an energy source, taste enhancer, and as a binding agent. Before entering the extraction process, soybeans are de-hulled, and the hulls can be further processed to make them suitable for animal feed, or alternatively hulls can be used as biofuel. Soybeans can be utilised in full. There is practically no waste output in the process.